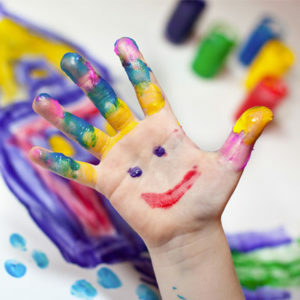 Physical Health & Well-Being: encouraging physical growth and independence, gross and fine motor skills and coordination. Emotional Maturity: encouraging age-appropriate emotional understanding, empathy, reflection, controlled actions (thinking before doing). 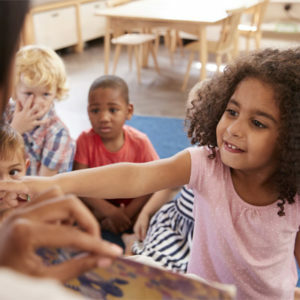 Social Competence: encouraging playing well with others, curiosity about the world, respect for adults and other children, behaviour and following rules or instructions, independence, self- confidence and eagerness to explore new things. Language & Thinking: encouraging reading, writing, classification of shapes, numbers, colours, size and concepts. Communication Skills & General Knowledge: encouraging open communication of needs and wants in a socially appropriate way, storytelling and an appropriate awareness of the outside world. Baby sign language is the practice of using symbolic gestures to enhance verbal interactions with your child. 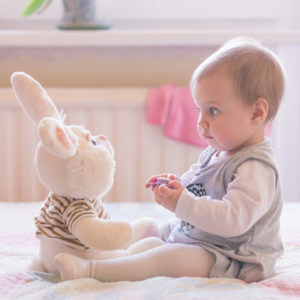 Just as your baby learns to wave goodbye or shrug their shoulders, your baby can also learn to use gestures to communicate their needs, express their interests and ask questions long before they can talk. Teaching your baby sign language enables you to communicate more effectively and create language experiences that support early literacy. An enjoyable and engaging time for you and baby! Sing songs, read books, tell stories and play hand games to enhance parent/child attachment, social skills and healthy child development. A fun, interactive opportunity to encourage healthy habits around food and nutrition. 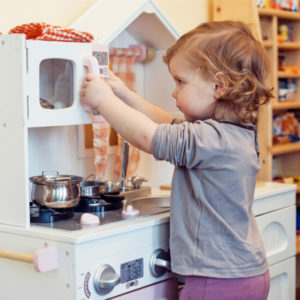 Parents are encouraged to include children in mealtime preparation, follow simple recipes, experiment with different flavours and play around with food. 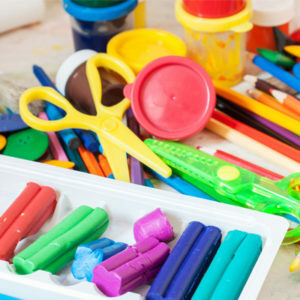 You and your little artist(s) will have a chance to explore and experiment with a variety of mediums to enhance fine motor skills and encourage creative thinking in the early years. Socialize with other parents while your children play in a cheerful, relaxed environment. Plan to meet up with old friends or come and make new friends for you and your children, in your community. Children and their grown-ups listen to stories with interactive opportunities throughout. Story time with a twist. Parents and their pre-schoolers enjoy the pleasure and power of rhymes, songs and stories together. Children’s imagination and early language skills develop while the parent-child bond strengthens. We offer this program in English, German/English and French/English. 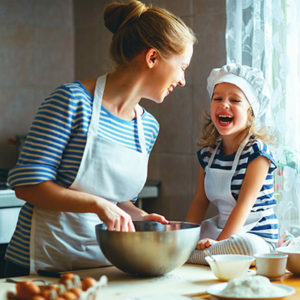 A cooking and activity program for a child and their parent or caregiver. Through stories, songs and interactive food preparation children explore healthy habits around food and nutrition. Children need space to move and practice sharing and taking turns. This can be achieved through games and activities designed to enhance their gross motor development. We provide the space and supplies while parents lead their children through fun and creative activities that support and encourage skills for successful early childhood development. 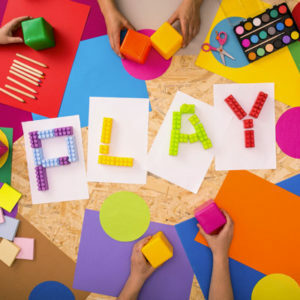 An interactive play based group where parents and children 3-4 years old will have a chance to practice skills to set them up for success when they go to school. Parents and Children enjoy music, dancing and moving to rhythmic beats. 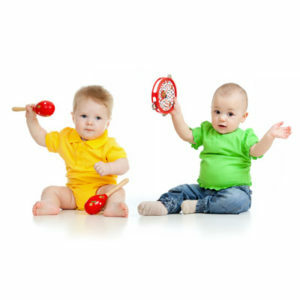 It is even more fun if they use an assortment of instruments to play along while developing early literacy skills.